It seems that old news has some weigh Apple to kick out the Samsung from the authorization of manufacturing its future processor chips, a new report comes out from the tables of Reuters, which claims that Apple has given authorization to Taiwan Semiconductor Manufacturing Company to began the trail production of Apple’s A6 processor chip, which is expected to launch next year with “iPhone 6 and iPad 3” in Spring next year 2012. 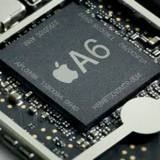 The report is based on the words of source familiar with this matter, which says that Apple has already gave the sufficient authorization and details to TSMC to start the production of the A6 processors. 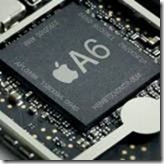 “TSMC has got all the authorization and details ready. Whether Apple puts in a formal order will depend on the yield rate,” the source said. The report corroborates recent rumors suggesting the Cupertino, Calif., would tap TSMC for semiconductor orders as its relationship with Samsung has grown tense. This report is just come out as a proof of old news, which we have heard few days back that Apple is about to leave Samsung in dark and want to do full lawsuit fight with it, because by default Samsung is one the biggest rival and also the manufacturer of Apple’s second generation A5 processor chip that we found in the iPad 2.